Krishnendu Ray explores the history of how immigrants in the restaurant industry have shaped American notions of good taste ― even as they themselves occupy the lower echelons of the social hierarchy. Based on interviews, newspaper reports over the long run, guide books, and digital sources, Ray maps the changing popularity and prestige of various ethnically marked cuisines, to elaborate a theory of hierarchy of taste. Dr. Ray is the Chair of the Department of Nutrition and Food Studies at NYU. Prior to that he was a faculty member and the Associate Dean of Liberal Arts at The Culinary Institute of America. 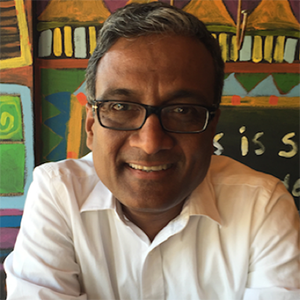 He is the author of The Migrant’s Table (2004), The Ethnic Restaurateur (2016), and the co-editor of Curried Cultures: Globalization, Food and South Asia (2012). He is currently the President of the Association for the Study of Food and Society (ASFS).